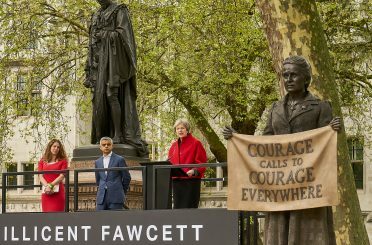 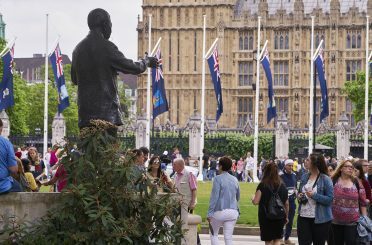 Donald Insall Associates was approached by the Gandhi Statue Memorial Trust to investigate the possibility of finding an appropriate site. 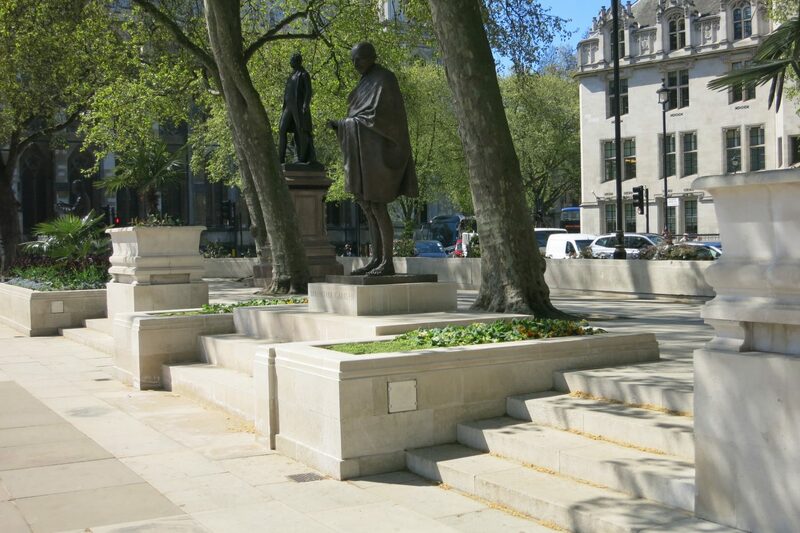 Noting Gandhi’s relationship historically with both Field Marshal Jan Smuts and Nelson Mandela, whose memorials already existed in Parliament Square Gardens, and the proximity of the Supreme Court (Gandhi studied Law in London) and the memorial to Abraham Lincoln, we proposed the site being in the centre of the existing line of Portland stone planters and jardinières along the west side of the gardens, beneath the canopies of the London planes. 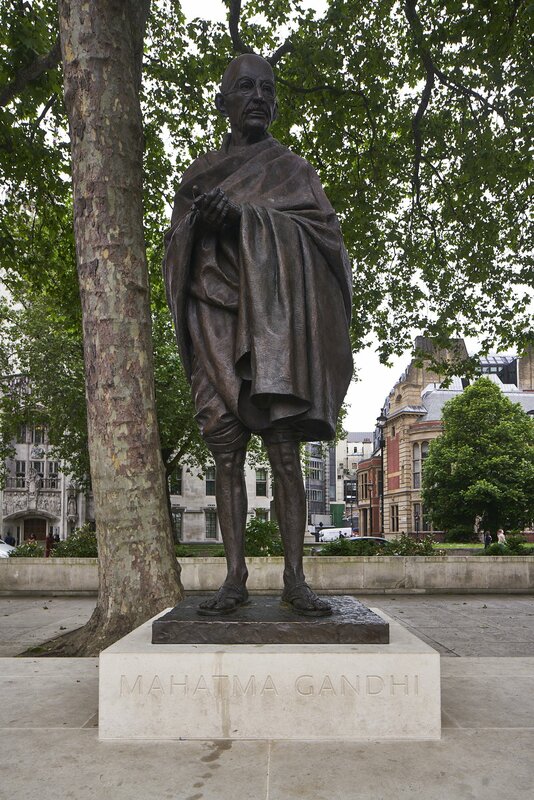 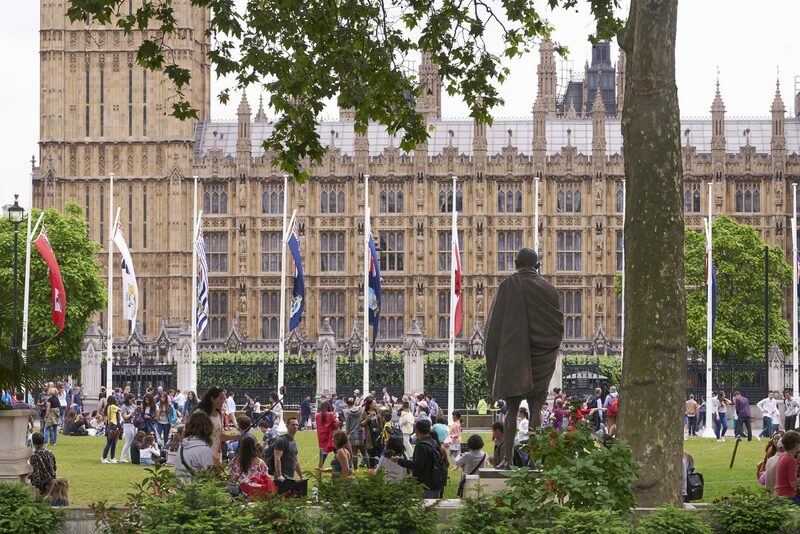 Like the statue of Nelson Mandela, the bronze statue of Gandhi, by Philip Jackson, has been set at a lower level than that of the 19th century statesmen on their high plinths and the Portland stone planter walls have been reconfigured to integrate the new setting with the existing architectural hard landscaping scheme.